This lovely and so different crochet flower not only takes embellishments to a whole new level but it’s also a fun way to practice the crocodile stitch! 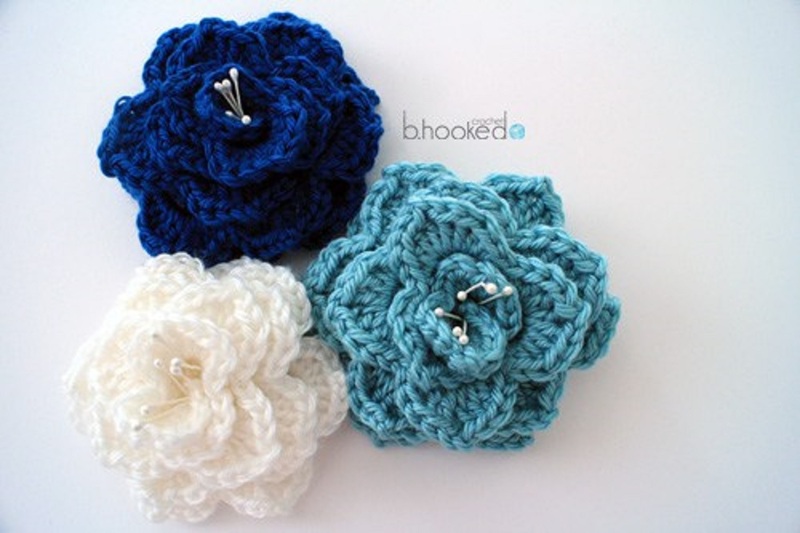 A quick and cute project, this crocodile stitch flower free pattern from B.hooked Crochet is very versatile as you could use it for a brooch, hair clip, any type of decoration or embellishment on a hat or scarf. This flower pattern teaches an interesting way of working up a crocodile flower. The method of rolling your flower in the final steps demonstrated here with lots of close up photos as well as well written text is genius and very efficient. This cute flower could be made in any type of yarn and any color. Simple changes such as yarn or hook size and you get a totally new look. The possibilities are almost endless!.